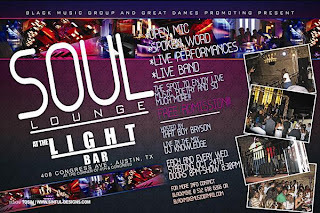 From the friend's bday party day after is rough on the body department... Every Wednesdays get treated to the Soul Lounge @ Light Bar... open mic, spoken word, live performances, live band, and so much more. :) Oh and it's Free. Happy Birthday Mike! As usual, we hit all the highlights of a Michael party... lots of drinks... missing Ernie... night ending on the can... and good company! Say goodbye to your 20's!